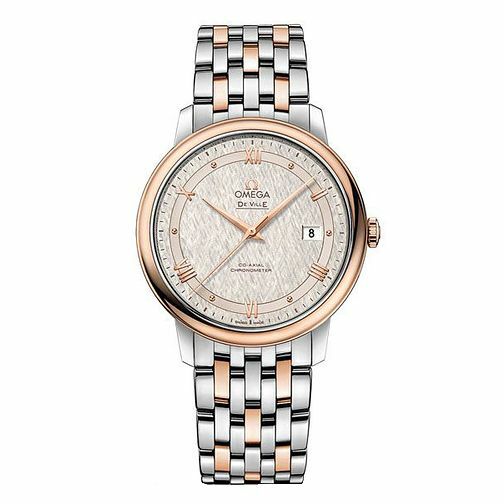 This stunning Omega De Ville Two Coloured bracelet watch exudes feminine charm, with its slender frame that sits beautifully on the wrist. Beautifully crafted with a white mother of pearl dial and 18k red gold plated bezel and matching appliqués. This luxurious timepiece is truly needed in your collection.